Approximately 350 million people are infected globally with Hepatitis B Virus (HBV) and an estimated of 1 million people die from complications of Hepatitis B virus each year. Hepatitis B virus (HBV) are extremely resistant strain capable of withstanding extreme temperatures and humidity. Cytopathic effect: The intracellular accumulation of filamentous form of HBs Ag produces the ground-glass appearance of affected heaptocyte. 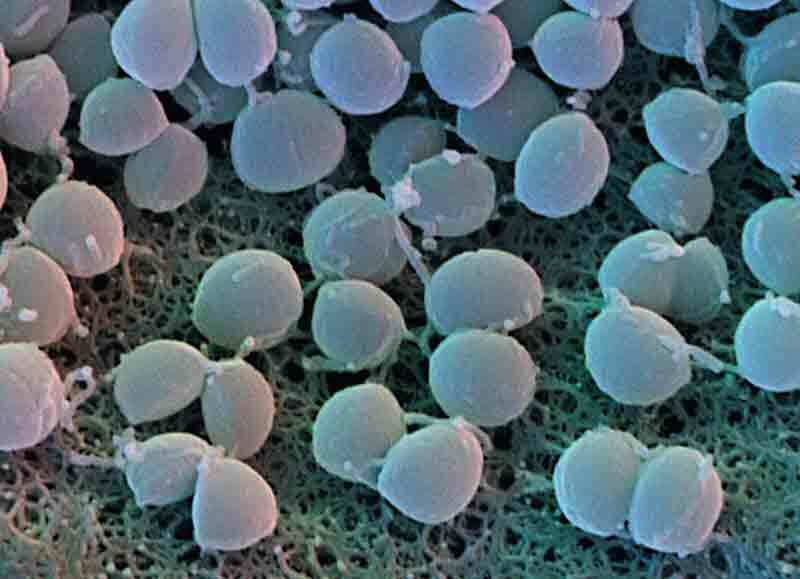 Single cells of liver parenchyma show ballooning and form acidophilic (councilman) bodies as they die. Immune complexes formed between HBs Ag and anti-HBs (HBs Ab) contribute to the development of hypersensitivity reactions, leading to problems such as vasculitis, arthralgia, rash, and renal damage. Patients who have immunosuppressed states, such as malnutrition, AIDS, and chronic illness, are more likely to be asymptomatic carriers because their immune system does not attack. Primary Hepatocellular Carcinoma (PHC): HBV may induce PHC by promoting continued liver repair and cell growth in response to tissue damage or by integrating into the host chromosome and stimulating cell growth directly. The initial diagnosis of hepatitis can be made on the basis of the clinical symptoms and the presence of liver enzymes in the blood. 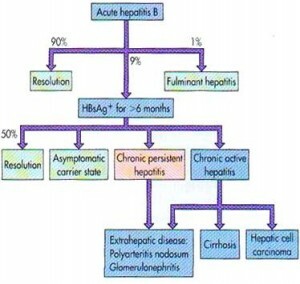 HBs Ag is the 1st marker to appear in the blood (3-5 weeks before the onset of symptoms and 2-4 weeks before serum ALT becomes abnormal). Serum HBsAg rises and then declines when the immune responds to the infection. 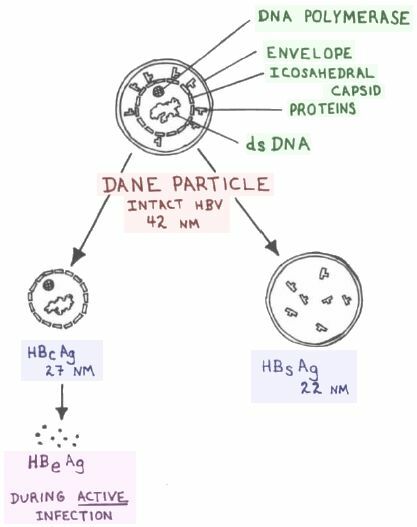 Anti-HBs Ag may not be detected for weeks soon after disappearance of HBs Ag because of formation of antigen-antibody complexes and the period is called “window period”. The best way to diagnose a recent acute infection, during the window period (when neither HBsAg nor anti-HBs can be detected) is to measure IgM anti-HBc. Presence of IgG anti-HBc in blood indicates chronic infection. Presence of HBeAg in blood is and indicator of chronic infection reflecting high infectivity. Currently, interferon alfa (IFN-a), lamivudine, telbivudine, adefovir, entecavir, and tenofovir are the main treatment drugs approved globally. 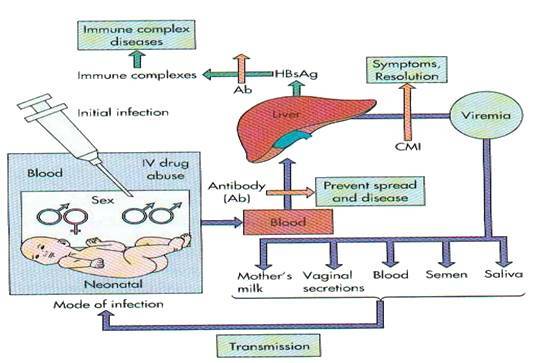 Initiation of treatment with adefovir or entecavir or tenofovir or in combination with lamivudine is of cardinal importance before and after liver transplantation to achieve viral suppression and to prevent recurrence of the disease after the procedure. Administration: 300-500 IU in 3 ml as soon as possible after the incident, preferably at birth in neonate and within 48 hours for others. A second dose is administered 4 weeks after the 1st. B. 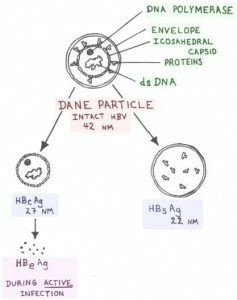 Active immunization: Subunit vaccines prepared by cloning the surface antigen in yeast cells (Saccharomyces cerevisiae) is indicated for infansts, children, especially people in high risk groups (healthcare personnel), who are HBs Ag negative, sexual partners of those known to be infected with HBV, drug abusers, and patients requiring freqent blood or blood product transfusion.